Burglaries are a daily occurrence, with dozens taking place every hour. Whether you believe your community or residential area is safe, the fact of the matter is that precaution is the only real safety tool you have. Knowledge is the most effective means to protect your home and family from burglary. The following is a list of preventative burglary tips every property owner should consider. Investing in a home security system can pay off when your property experiences a break-in. Nowadays there are systems for every budget, and many insurance companies offer premium discounts for having a home security system in place. Home monitoring systems provide a first line of defence, as most burglars will avoid houses that have security features. Displaying security signs in your yard and in windows alerts potential intruders your property has a system in place, which can help ward them off. The vast majority of burglaries occur between the hours of 10:00 am and 3:00 pm, according to statistics. Most homes are left unoccupied during the day, which allows optimal opportunities for burglars to break and enter unnoticed. Consider installing motion-activated security cameras for remote monitoring during daytime. Most burglars live near the homes they target, many within a three-kilometer radius. Close proximity allows for easily learned daily schedules and activities, which enable burglars to strike when they know you’re away. Burglars also look for accumulated mail, unmowed lawns, and trash bins left curbside. Consider having someone watch over your property when you’re out of town for work or vacation. Burglars look for homes that are easy targets so they can get in, take what they want, and get out in a matter of minutes. Unlocked windows and doors on the ground level allow for easy access. Overgrown plants help to conceal burglars. By keeping all doors and windows locked and trimming trees and bushes, you can make your home less appealing to burglars. Consider installing quality knob-in-lock sets with a heavy-duty deadbolt, and mount exterior security cameras. Many people don’t take proper steps to keep their valuables safe. Burglars know this, and will often attack master bedrooms first in search of jewellery, money, safes, and weapons. By storing your valuables in a safe that’s bolted to the floor you can protect your items from being easily removed from your home. Also consider concealing items in unusual locations throughout your home to mislead thieves. Returning home to a ransacked home can be devastating, but experiencing a home break-in first hand can be even more traumatic. Whether you’re at home or away, keep your security system armed so you are protected at all times. Burglaries are difficult crimes to solve, and even when burglars are apprehended, homeowners most often do not reunite with their stolen items. By relying on modern home security systems, many burglars can be caught on camera through video surveillance, some even during the act if police are notified immediately. No one wants their home burglarized. However, if you’re aware it’s a possibility, that’s the first step to keeping your family safe. 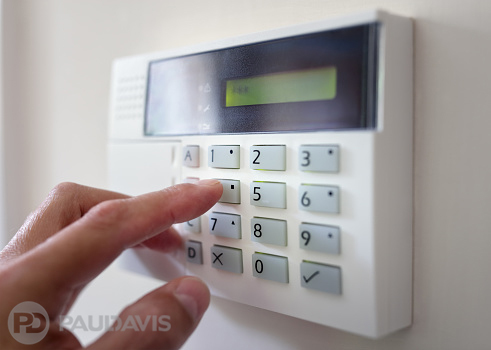 When you follow these tips, you’re sure to help ward off burglars at any time of day.